We FINALLY finished cleaning out my son Jake’s room. Ever since he tried to re-decorate it himself – see his design tips in this post here – I made the decision to re-paint his room. We picked out the new colors to turn his room into a Georgia Bulldog hangout but before I painted, I want to make sure we cleared out all the junk and stuff he never uses. I wasn’t going to move all that stuff out of his room and only to bring it back in. 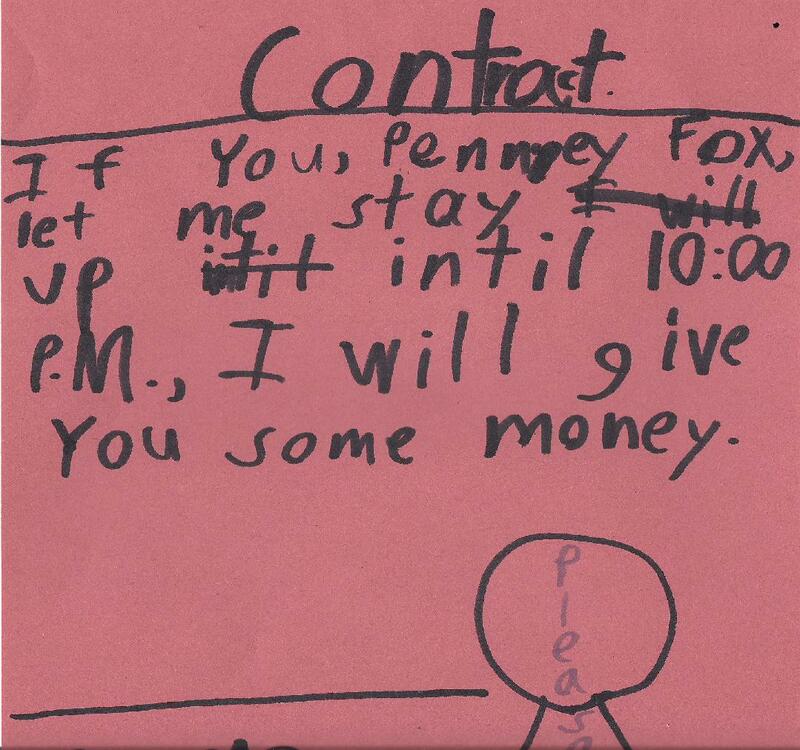 When I was sorting through all the odd piles of papers, I found this contract. Jake wrote this sometime last year when he wanted to stay up late. I think they were talking about contracts or something like that in school but honestly, I’m not sure where he got this idea. But it gave me such a good chuckle that I knew it had Sunday Funnys written all over it! Contract is great – love it. Future lawyer on your hands? I just knew you’d like this one! Does Jake remind you of your son when he was this age? Jake is taking over the content for my next post with a special challenge. Be sure to stop by and check this one out.